Each of our hand selected vehicles have their own personality and characteristics. These innovative and exclusive machines are individually unique and perfect for all different types of events. Hourly, daily, weekly, and monthly rental rates available for all of our vehicles! Delivery and pickup is available to a location of your choice. Tour the Northeast in style and experience multiple vehicles with a group. Our Membership Program provides numerous benefits to those who want frequent access to our Fleet and want to reap the benefits of a “timeshare” type program. 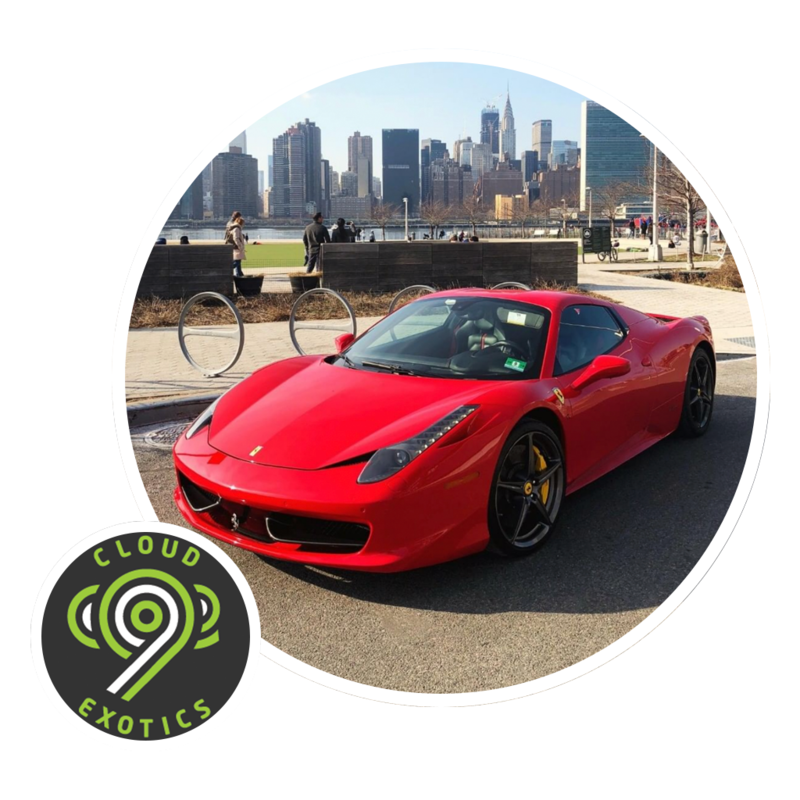 If you need car rental services for your upcoming wedding, look no further than Cloud 9 Exotics. We offer affordable premium wedding car rental vehicles to help you celebrate the big day in style and elegance. Not getting married? Our vehicles are perfect for any event! We offer our entire pristine fleet for photo and video productions at the most affordable rates. We are happy to announce that we are now providing adrenaline-filled racetrack and autocross experiences to the general public. Closed private track events may be booked as well; perfect for any bachelor or bachelorette party. Looking for a new tool in your leadership toolbox? Something unique to secure a client relationship or motivate your team? Look no further, here at Cloud 9 Exotics we are experienced with bespoke private corporate services to our clients. We’re businessmen (and women) by day and automotive enthusiasts by night. We do what makes sense (and cents) to cater to those who can really appreciate the experience these cars have to offer. And there’s no better way to experience the thrill of exotic cars than from those with the passion themselves. Call Today to Book Your Dream Car 1 (800) 673-9900 Operators available. Cloud 9 Exotics worked with our team to design a tour with our membership in mind. Starting in NYC we toured throughout NJ and back. With various stops along the way each driver had a chance to take the wheel and have a personal experience with the different vehicles. I had a the best experience with Cloud 9 Exotics. 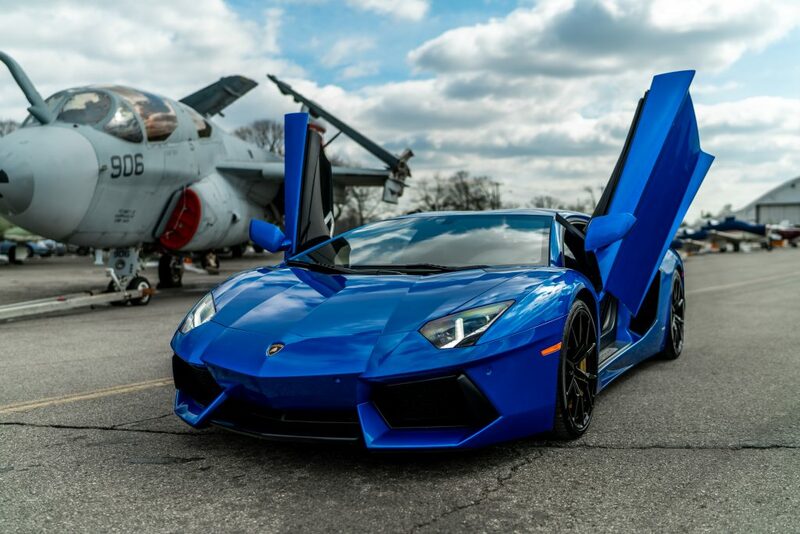 The staff was very courteous and extremely helpful getting me familiar with the Lamborghini I drove. Their cars are well maintained, the facility is top notch. I definitely recommend their service. Thank again Cloud 9 for the incredible experience. As promised, Cloud 9 Exotics made a good event – GREAT. The crew and the service they provided are just as impressive as the cars. When an innovative organization has an incredible product with wonderful service the results are remarkable. Not only was I impressed with the event, but the next day I received dozens of texts/calls and emails from guests filled with accolades. They are a great way to make an exciting experience relevant, memorable and certainly unique. Leaving the guests happy and the host thrilled. Copyright © 2019 Cloud 9 Exotics. Designed by NXTFactor. All Rights Reserved.